As many of you have heard, Amazon’s Content Review team has been a bit over the top this year. The running theory is that there is an illicit service being used by some unscrupulous and greedy authors to drum up page reads and boost their page ranks, and that these services borrow and read other authors books to appear legitimate. A great number of LitRPG authors are impacted by this. The response by the KDP Content Review team has been swift and unforgiving. Authors targeted by these services are having their page reads slashed by about 50% every month. They also receive an angry letter from Amazon, which I have shared before, threatening the author with a ban hammer if they don’t magically stop these scammers. And, because we authors have no way of stopping scammers we never engaged with, we ultimately receive a total ban from KDP publishing the next month. So, in an astounding fit of solidarity, many impacted LitRPG/GameLit authors, myself included, have joined together in an effort to make our books available to as many of you, our readers, as possible. We’ve abandoned the KU program en masse and have published on various platforms like iBooks, Google Play, Scribd, Kobo, and Nook. While our books are still available on Amazon, we are no longer participating in the KU program many of you love so much. I have pulled my books from the program. I have canceled my personal KU subscription and hope many do the same. To those of you looking for some good summer reading, I encourage you to support all the authors impacted. If it’s within your power to buy books outside of Amazon (and leave reviews on the services where you make the purchase), I implore you to do so. Your beloved authors are in a bind here. 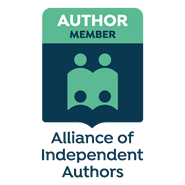 Our entire independent publishing career is subject to the mood of a single mega-corporation, with Amazon accounting for almost half of all ebook sales per year. And the KDP program has turned into one where we now make 25% the amount we would have made on a direct sale while risking being banned altogether without a moment’s notice. Amazon’s KDP program has become our Maggie Thatcher. So whether you want to read a story about a healer fighting with his allies for freedom, or a badass driver escaping dragons as she carries precious cargo through the desert, or a half-dwarf named Dave trying to reveal to the masses the truth of the universe, there’s plenty for you to read and even more ways for you to read them, including by monthly subscription models on Kobo (Kobo Plus) and Scribd. Follow the links above to check out some amazing books. You won’t be disappointed.